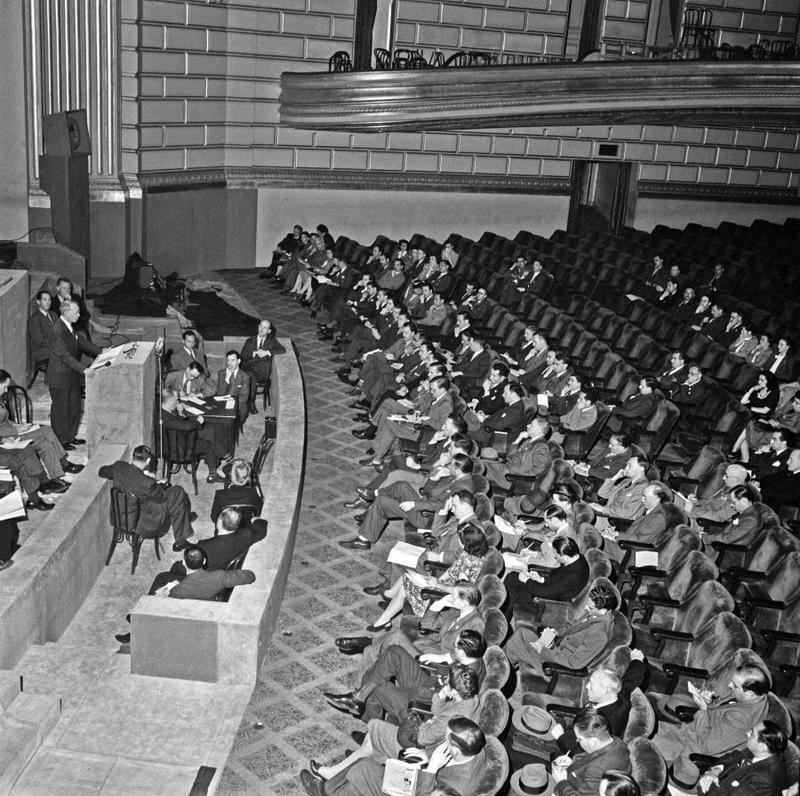 San Francisco Conference establishing the Charter of the United Nations, 20 April 1945. The Global Summitry Archive, created by the Global Summitry Project (GSP) at the Munk School of Global Affairs at the University of Toronto, aims to collect, preserve, and make publicly accessible all information and websites related to global summits. Governments and intergovernmental institutions are increasingly using websites as their primary means for disseminating information. Until now, there has been a lack of a centralized effort to capture and preserve content that has been published online. The Global Summitry Archive intends to serve as an unofficial secretariat for all digital content related to global governance. To this end, the Archive aims to capture – as completely as possible – websites related to international summits, meetings, conferences, and global governance institutions. Any information collected will be keyword searchable and remain accessible to the general public. Using Archive-It, a web-archiving service provided by The Internet Archive, the Global Summitry Project has successfully preserved 167 web addresses. Our collection currently consists of over 5 million files, and will continue to grow as more content is published online. The Global Summitry Project welcomes feedback and suggestions. If there is a website we haven’t captured that you think we should – let us know. In particular, we will continue to consider the capture of sub-state and non-state actor websites.